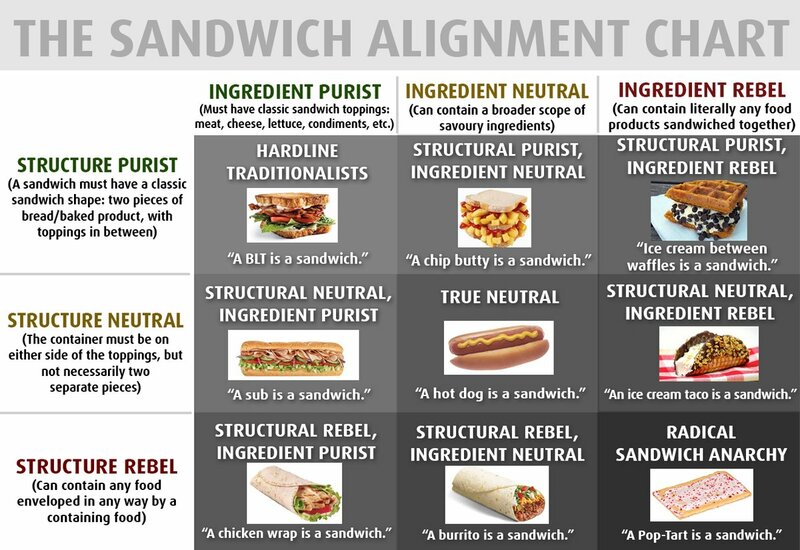 @matttomic's Sandwich Alignment Chart isn't just an amusing and thought-provoking taxonomy of sandwiches (though it certainly is that!). It's also seemingly calculated to shatter the mental equilibrium of John Hodgman, who has waged a multi-year war on the notion that the hot-dog is a sandwich. I just like the idea (as does JWZ) that there's a Radical Sandwich Anarchy camp I can join.